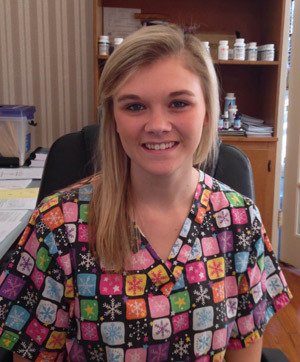 When you walk into our Abbeville office you will receive a warm welcome from Casi. She will greet you and get you started on filling out the paperwork needed to get you started on the road to recovery. You will have the opportunity to add any additional information that you might feel would be helpful to your care and ask any questions that you may have at this point (you can always ask more later if you forget one!) Dr. Durham may also ask some additional questions as well. Based on your condition and your history, Dr. Durham will perform a thorough evaluation to find the exact cause of your condition. Next any additional tests will be performed, such as X-rays, MRI, or lab work. Some tests are done here in the office and others are done at other facilities. If no outside testing is necessary we will study the results of your evaluation and formulate a care plan specifically for you and present our findings to you. If we feel that our treatment could be of benefit to you, you will be given the opportunity to begin care. If not we will discuss your other options for care elsewhere. If you elect to begin care, Casi will discuss several ways that we make it affordable to regain your health here with us. You should plan on being here with us for about an hour on this first visit to Abbeville Family Healthcare. Okay, the long visit is behind you now! Now after Casi greets you, you will fill out a very short form rating your pain and doing a small pain drawing showing us where your pain is that day. (If you have medicare you get one bonus form! )Then you will go straight back to a treatment room. Your typical chiropractic care visit will only last 15-20 minutes, depending on what you care plan calls for each visit. Some patients just get an adjustment and others get an adjustment, some type of therapy, and do some spinal exercises. So it is somewhat variable, but much shorter than your first visit. Take the first step towards relief by calling today and make an appointment to discuss your health goals.